As you read horse articles and blogs around the web you may have come across the term OTTB in reference to horses. OTTB is an acronym for “off-the-track Thoroughbred”. 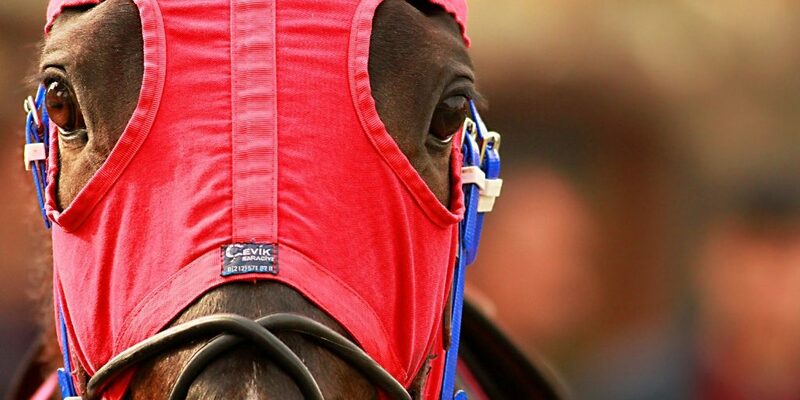 A Thoroughbred is a breed of horse, registered with the Jockey Club, and was trained to race but now retired. OTTB horses retire for different reasons; some retire due to injury, or old age, while some retire because they don’t have the strength for racing anymore. Some are just not fast enough to be competitive. Just as humans retire from one job and venture into another so do horses. After a race horse retires from horse-racing, they get used for dressage, some venture into show-horse in jumper/hunter, they can serve as a companion animal, and so on, based on their personalities. Any thoroughbred that was on the racetrack but now isn’t might be called an OTTB. 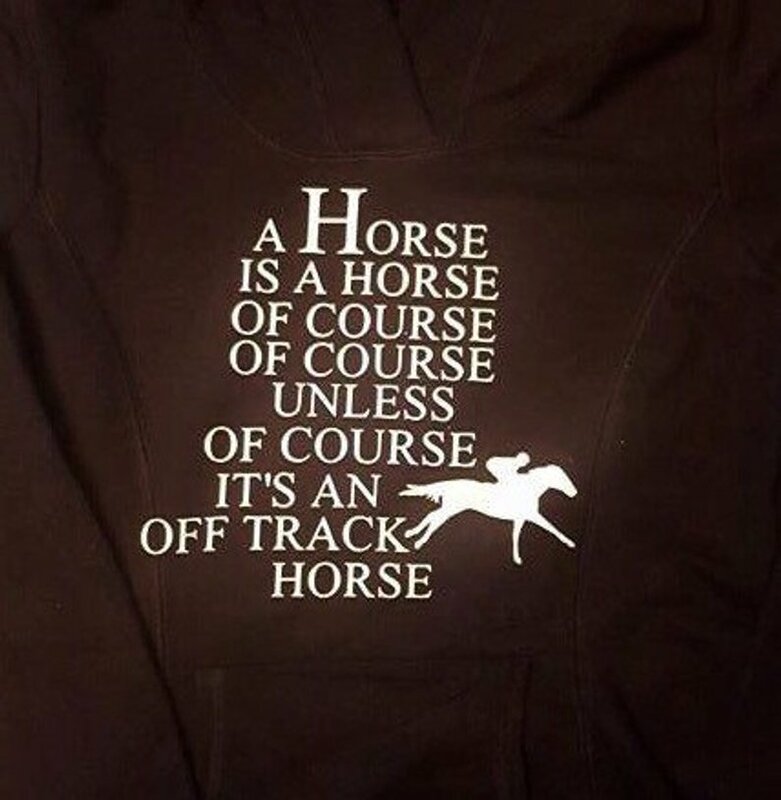 How to tell if your horse is an OTTB? All race horses that have started in a race will have a lip tattoo on their upper lip. This tattoo is different for each breed. Race horses come in many different breeds and each breed has different requirements for the lip tattoo identification. Most OTTB’s will have a lip tattoo although some are not on the track long enough to get them. Unless you know the horses’ full history, there is no way to tell he was an OTTB unless he has a lip tattoo. The lip tattoo on an OTTB tells you some basic information about the horse without even having to look it up. Each thoroughbred tattoo starts with a letter. This letter is the horses year of birth. 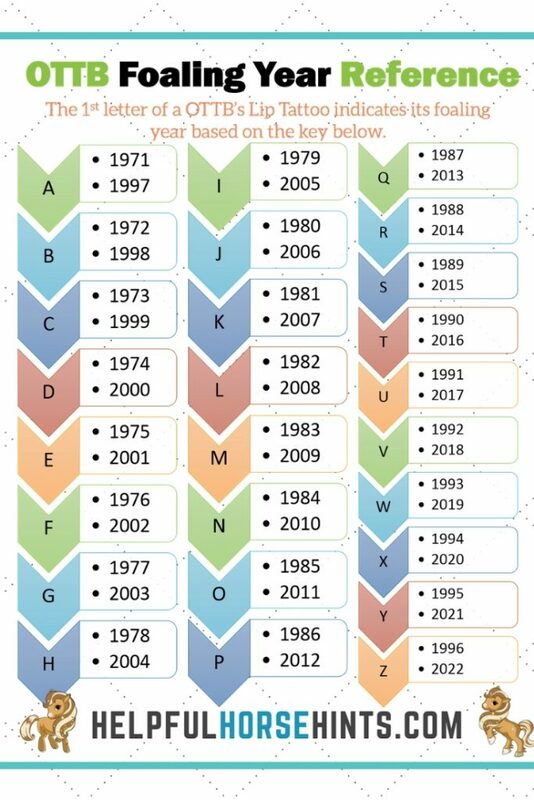 If you have an OTTB, you can use this chart to determine your horses foaling year. Four or five digits follow the letter to make up the tattoo number. If your horse has a lip tattoo, you can research online to see the horses name and pedigree even if you don’t have his registration papers. Tattoo information for your thoroughbred horse is available from the Jockey Club on their Tattoo Lookup and Research page. Conformation and Height of OTTB’s. Most of the time, the purpose which a Thoroughbred might be useful for is determined by its size and body type. Long distance thoroughbreds, for example, are typically taller, leaner horses. The six-furlong sprinters have more resemblance with a quarter horse than what most people would think of as a thoroughbred. In general, thoroughbreds are famous for their elegant neck, eyes, broad chest, angled hip, long and sloping shoulder. They come in a variety of body types so it is perfectly reasonable for an OTTB to be a dressage horse, eventer, barrel racer or even rope horse. It is common to stereotype a breed of horse. We hear that Quarter Horse’s are quiet and Arabians and Thoroughbreds are hot. In fact, both Arabians and Thoroughbreds fall into the category of “Hot-Bloods”. Hot-blooded horses are considered more energetic and higher strung than their warm-blooded counterparts like the Quarter Horse. The reality is, each horse is unique. There are some very quiet thoroughbreds and some very hot quarter horses. Keep in mind that you must evaluate each horse you look at based on its own merits not some generalization about the breed. OTTB’s often develop stable vices while at the track. They are kept in a small stall (usually 12×12) and often become bored. Unlike other horses, they don’t typically get to enjoy turnout time or pasture access with other horses. As they sit in their stalls day after day a horse may become bored and start to develop common stable vices like cribbing, weaving or pawing. 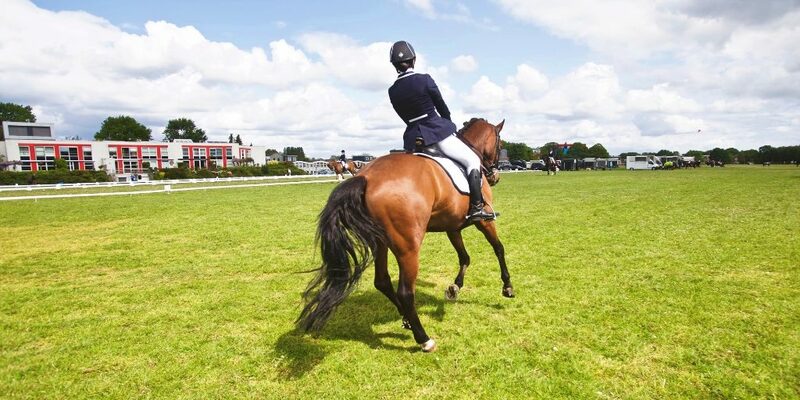 Before adopting or purchasing an OTTB you should ask if the horse has any known stable vices. Most aren’t an issue but it is good to know before hand so that you can consult your vet to make sure that stable vice doesn’t have any underlying health issues (like ulcers, for example). There are many adoption and rescue facilities that take thoroughbreds directly from the track and help to transition them into new homes. The Jockey Club actually has an accredation program for non-profit horse rescues that care for OTTB’s. If you are looking for a thoroughbred to rescue or adopt, check out the Thoroughbred Aftercare Alliance for an accredited organization near you. Just because a horse once raced on the track doesn’t mean it will always be found at a rescue or need rescuing. Many race horse owners take care to find their horses second careers when they don’t work out on the track. You can find OTTB’s for sale anywhere you would normally find horses for sale including popular websites like Craigslist.org, Dream Horse and EquineNow. When a thoroughbred horse comes home from the track there are some special considerations you should make regarding their training. A lot of time they benefit from a couple of months of “let down” or relaxation where they aren’t ridden and are, instead, allowed time to decompress and play in turnout. This is great time to work on their ground manners. A full veterinary exam should be given before starting any serious training. Some horses are retired from racing due to injuries and you will want your vet to make sure that your horse is 100% ready to start work. It’s best to work with a professional trainer at first to help your horse understand the basic cues. Remember that a thoroughbred was bred and trained to run so stopping, backing up and riding in an arena or on the trail aren’t things they have usually been exposed to. A professional trainer can help you get them started in the right direction. If your OTTB has already been trained in another discipline after it left the track, you won’t have to worry about training him any differently than a regular horse. 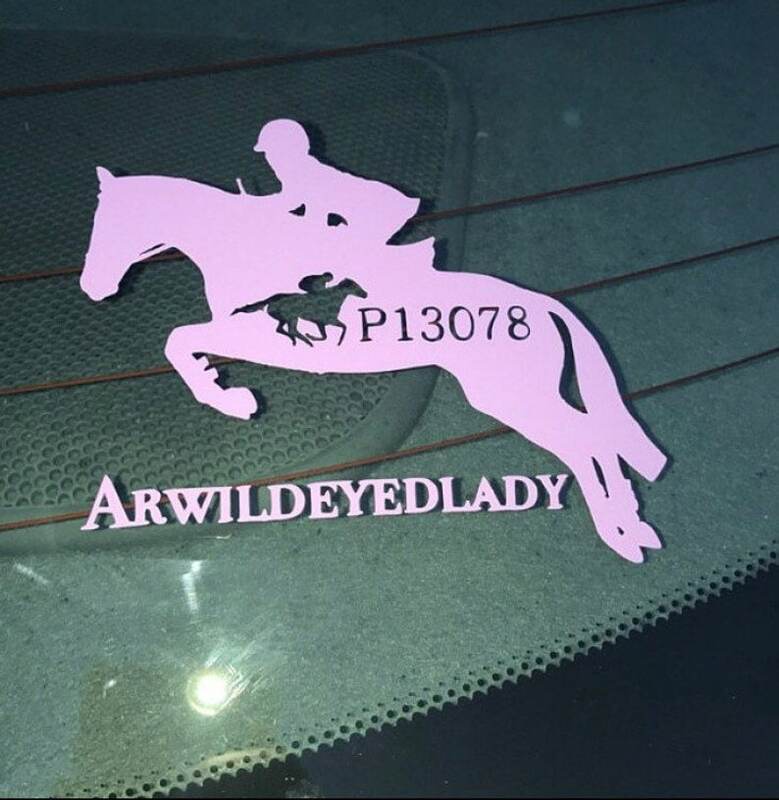 Do you or someone you love have an off the track thoroughbred you absolutely adore? These are some excellent gift ideas! If you are looking at getting a new horse, consider adopting or purchasing an off the track thoroughbred. The OTTB is a unique creature with a brave heart, kind and loyal personality. An animal with a never-giving-up soul. Filled with energy, yet, beautifully adorable and lovely. You don’t have a reason not to love an off-the-track Thoroughbred.